When I think of Easter treats, the first thing that I think of is peanut butter eggs! You can’t go wrong with peanut butter and chocolate! Such a perfect combo. 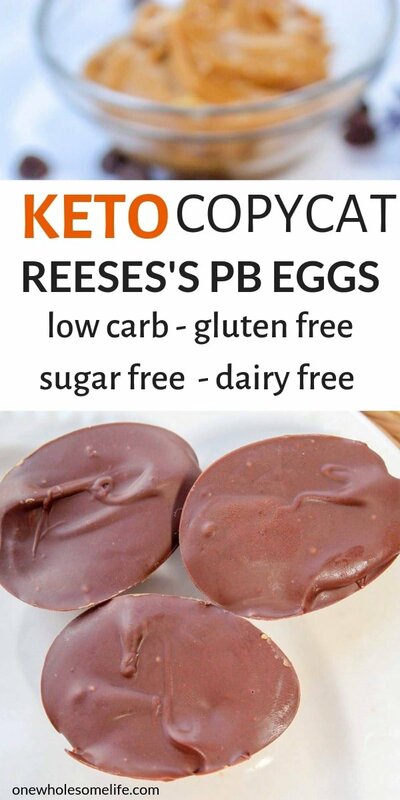 I decided to play around and try to make my own keto and low carb version of chocolate peanut butter eggs. The result turned out SO delicious! 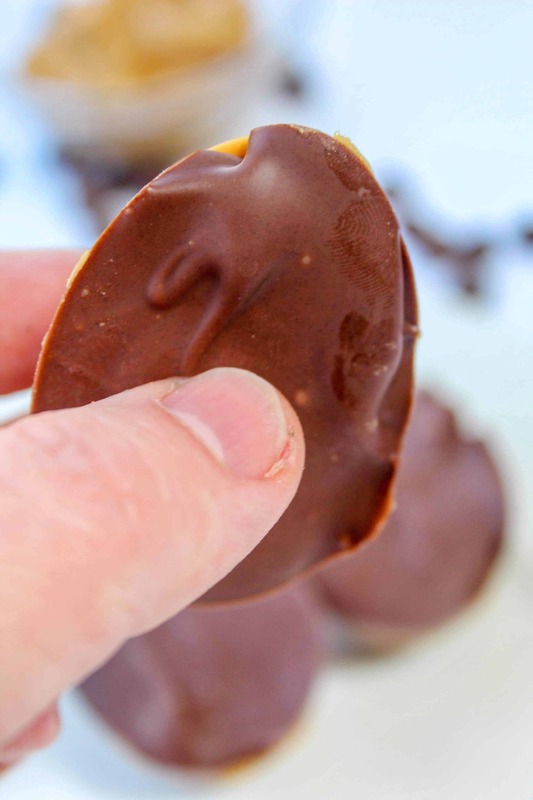 These chocolate peanut butter eggs are a decedent Easter treat. 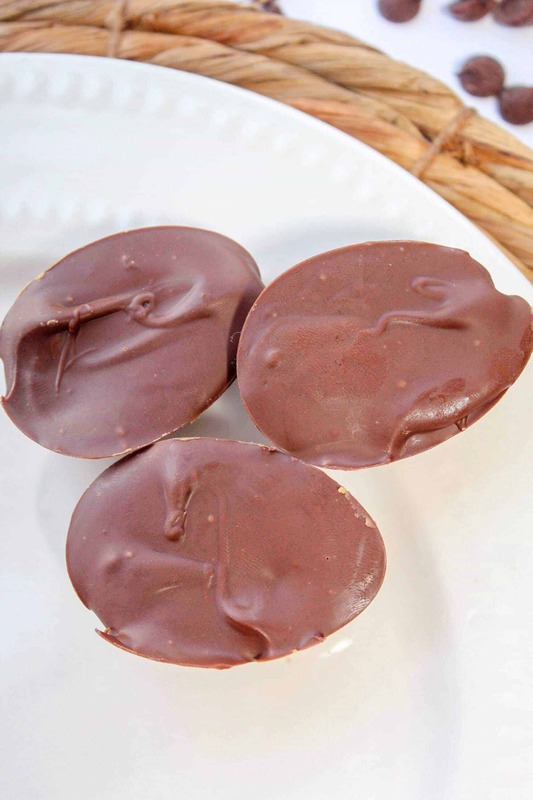 You can make these chocolate peanut butter eggs with only six ingredients. Peanut Butter – Make sure it is natural and unsweetened. The only ingredients should be peanut butter and salt. 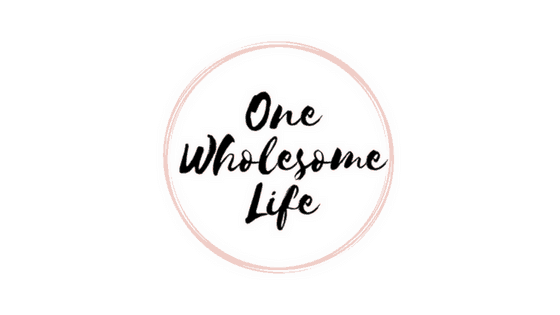 Coconut Oil – Unrefined is best. Powdered Swerve – I love using SWERVE as a sweetener. Make sure to get the powdered version. You can get it on Amazon HERE. Sugar Free Chocolate Chips – I like using Lily’s Brand Chocolate Chips . You can get them on AMAZON . You can also use 85% or higher dark chocolate chips. 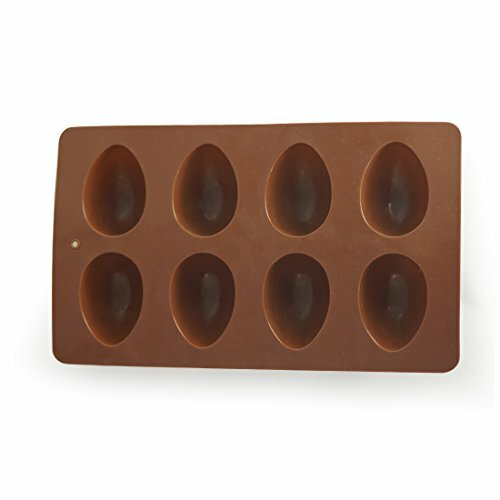 These peanut butter eggs are made with a silicone Easter egg mold that I got on Amazon. This silicone mold makes this recipe super easy. You can also use it to make fun jello eggs with your kids! You can get it GET IT ON AMAZON HERE. When melting chocolate, I have found that using a double boiler works best. 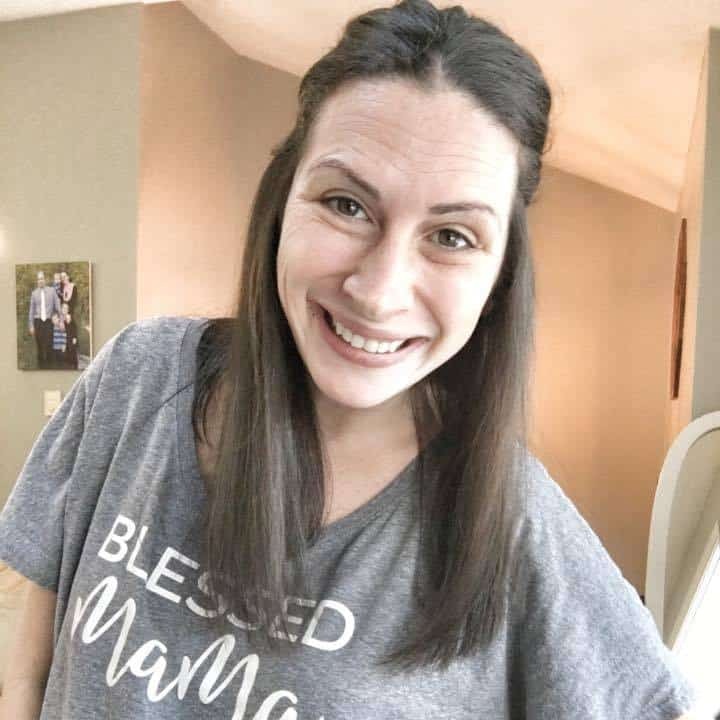 It always turns out super smooth. If you do not have a double boiler, you can use a microwave. 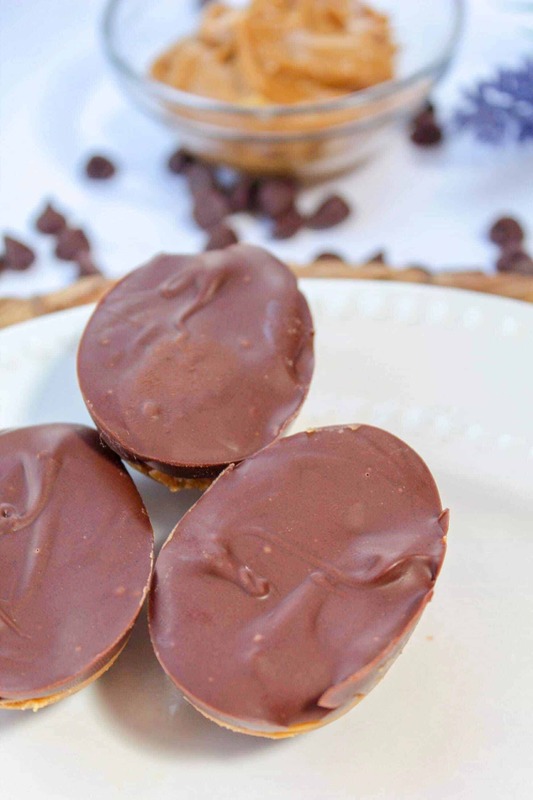 I can’t wait for you guys to try these peanut butter eggs! 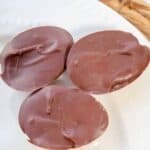 These keto chocolate peanut butter eggs are a decedent Easter treat made with only six simple ingredients. Using a double boiler, melt together the peanut butter, 2 tbsp of coconut oil, powdered swerve, vanilla extract, and sea salt for about 30 seconds to one minute or until combined. Pour the mixture into the egg molds and freeze for about one hour. Make the chocolate coating by melting together the chocolate chips and coconut oil using a double boiler or microwave. Remove the peanut butter eggs from the molds and set aside. Pour the melted chocolate into the molds about half way up. Place the peanut butter eggs into the melted chocolate so the chocolate surrounds the eggs. Spread chocolate to cover tops of eggs if needed. Freeze for another 15 minutes and store in freezer.